If anyone has been following a wearable tech design rule book, we think something has been lost in translation. And by design we don't just mean the shape of a smartwatch display or the material on a fitness band, we mean every aspect of how we use wearables. Fjord's interaction design lead David Hindman explained in a blog post that the studio believes that "there are key moments where design can truly make or break the wearable experience. Regardless of how fast, connected, durable or untethered a device, we think the wearable industry can do better." And he's right - it's not just about battery life, GPS or pixel density anymore, though those aspects of wearable tech still count. 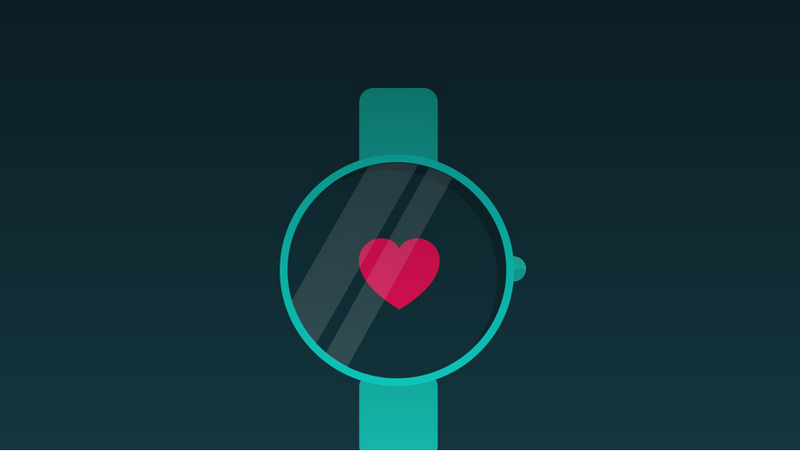 It's about designing wearables that fit into our lives. Don't embarrass us. Actually save us time. Or help us to improve our health. Offer customisation over how services present all our data and how often. We're not there yet. Fjord's five principles of wearable tech design sum up perfectly the potential of wearables and how the user experience is currently falling short. Thankfully, we are already moving away from the idea that wearables are a smartphone for your wrist. But what comes next? We take a look at each principle in turn and find out how 2015's highest profile wearables actually stack up. Fjord's first rule talks about the very nature of wearing tech - devices like smartwatches display our most private information from our heart rate to our WhatsApp messages. "Wearables may ironically be the most intimate and most public devices yet," cautions the design guide. Fjord's suggestions include wearables which sense which way the display is facing - inwards to the wearer or outwards to the world and display alerts or stats accordingly. Another tip is for wearables to vibrate first, display second. Lastly, manufacturers should allow customisation to suit a range of personalities but ship with "considerate" default settings that would work for most people. So which wearables are getting it right? The Apple Watch is more adept at keeping messages private than Android Wear - wear an LG Watch Urbane and the display will light up showing emails to whoever catches sight of them. We've seen naughty Grindr messages pop up on someone else's AW watch before. With the Watch it only displays the message once you turn your wrist to read it. And the Intel and Opening Ceremony MICA is an example of a flawed wearable but one that actually provides the wearer with a display on the inside of the cuff and precious stones adorning the outer edge. This is the word we've heard bandied around a lot in the past six months: glanceable. The key to providing us with useful information appears to be alerts, messages or reminders that only take three to five seconds (max) of our time. That's a tricky thing to achieve. Fjord's design guide urges app designers to show just one piece of information at a time on a wearable with a display and "make it count". The interaction designers also offer up that age old wisdom of keeping things simple for users. Harder than it sounds and even Apple hasn't cracked it yet. Keeping things glanceable applies to any app built for a wearable: from gaming (Lifeline and Spy_Watch are brilliant examples) to more practical apps like Shazam, Citymapper, Clear or Yahoo Weather. This is a fancy way of saying that not all wearables need a digital touchscreen display. And here at Wareable we agree, some of our highest test scores have been awarded to wearable tech that goes down a different route - the Mondaine Helvetica No.1 Smart, for instance, the Altruis smart ring, the Misfit Flash or the Moov coach in a tracker. These devices uses features such as haptics, inconspicuous LEDs, tapping or audio (via connected headphones) instead of a display strapped to your wrist or leg. And the approach can really work both for controlling wearables and for receiving information. Here's what Fjord has to say on the matter: "Many wearables offer new and different ways to input and receive information. Gesture recognition, tapping patterns, health data and vibrational communication are all some of the capabilities that will enable the future of screenless interactions." Down with the screen! Kind of. Another moan we've had here at Wareable is that of finding meaning from mountains of data - for instance, in health and fitness - and only interrupting users when it's really necessary. Fjord focuses on the latter and counsels designers to "support rather than overwhelm" with a system that "elegantly stays in the background of our lives". We are yet to encounter an operating system smart enough to really know when we want to interact with our wearable but Google is beavering away using machine learning to enhance its Now on Tap offering and Olio Devices thinks its Olio Assist cloud-based virtual assistant will be even better at using context to best serve us when it ships on the luxury Model One at the end of the summer in September. We need assistants and apps that learn over time how often we want to access or be alerted by them each day, what times of day and in what way. So an easy job then. Here's an issue that might not spring to mind when thinking about wearable tech design - connectivity. The very definition of wearable tech, in the Wareable sense, is that it is connected to some way - to your body, to the internet. But what about those times you don't have your phone or you're not able to access Wi-Fi? Fjord reckons, and rightly so, that we need useful offline modes for our wearables. And that transitions between all the devices in our ecosystem - which include multiple wearables - should be frictionless. We've seen a few predictions as to how this will work, including a concept for short range, body Wi-Fi as well as no smartphone required wearables, some with interesting ideas around what a wearable should be able to do standalone, others which rely on a whole separate data contract like the Will.i.am Puls, not so much. Put simply, anything that can be done without a connection, should be done without a connection.